*All hours are subject to change per show schedule and/or holidays. Los Angeles-based touring company founded in 1981, Rhapsody In Taps (RIT) is led by Artistic Director and Choreographer, Linda Sohl-Ellison. RIT is one of the nation’s very few tap dance companies that creates original, often experimental repertoire and maintains a consistent ensemble of company dancers. 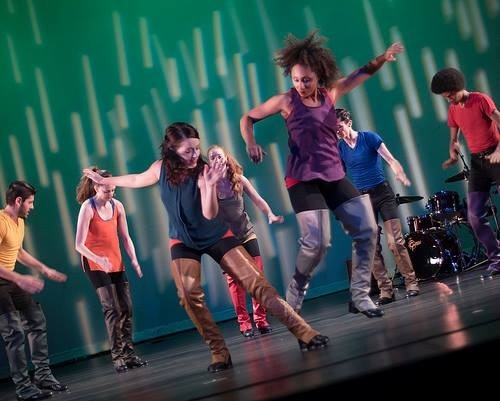 RIT features seven to nine tap dancers and six jazz and world musicians to present a diverse repertoire paying tribute to the rich heritage of tap, as well as exploring innovative choreographic directions for the stage as a leader in the “tap resurgence” that began in the 1980’s. Temecula is proud to welcome back one of our most popular dance companies to date!